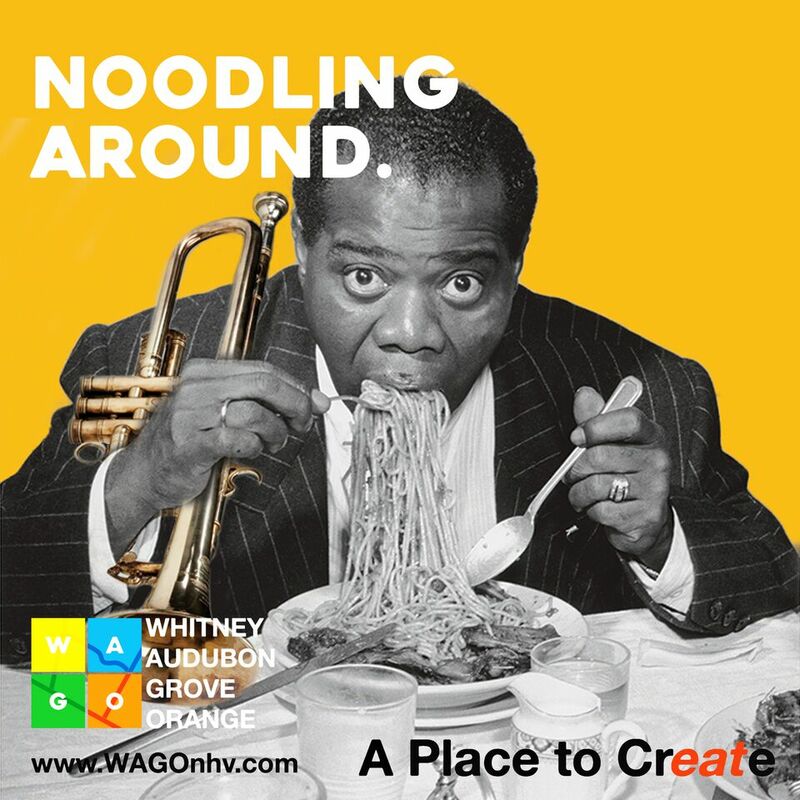 In an effort to stimulate local businesses within the area bordered by Whitney, Audubon, Grove and Orange, Town Green District has launched the WAGO initiative to create a sense of place for interesting people to come together for lunch, grab a coffee, shop local or to take an art class. We created the WAGO identity, as seen below. From a bird's eye view, we noticed the four streets come together to make a unique, quadrilateral shape. Audubon in particular has a recognizable dip in the middle of the street that is recognizable to people who frequent the area. We wanted to establish each street with it's own characteristic, which led us to the vibrant multi-colored squares that frame the first letter of each street. 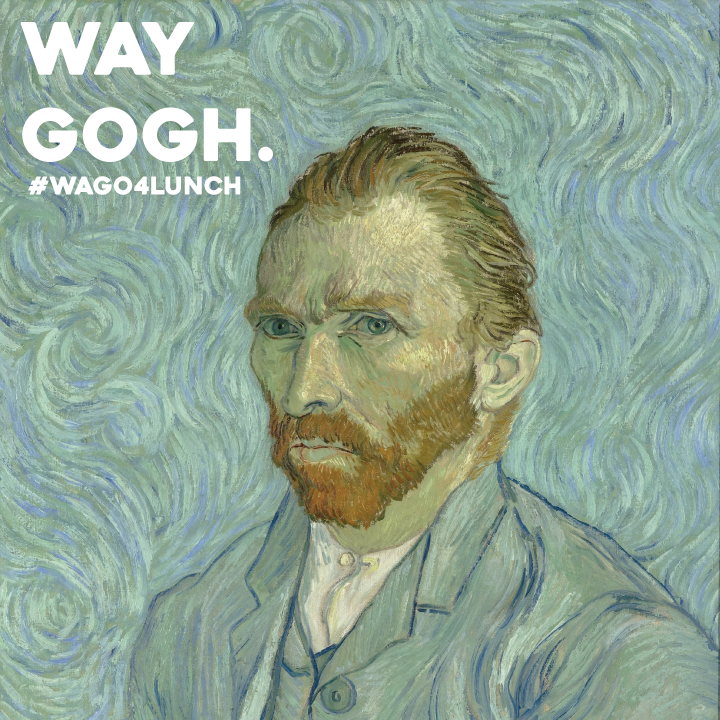 #WAGO4LUNCH is a campaign that focuses on WAGO neighborhood’s eateries, using social media and printed materials to get people out of the 9 squares and into WAGO for lunch. We used the WAGO logo on shopping bags, coffee sleeves, coasters and napkins as a way for our participating restaurants to get the word out through their customers. These promo items drive the traffic back to the website, where we've created a directory of WAGO restaurants. 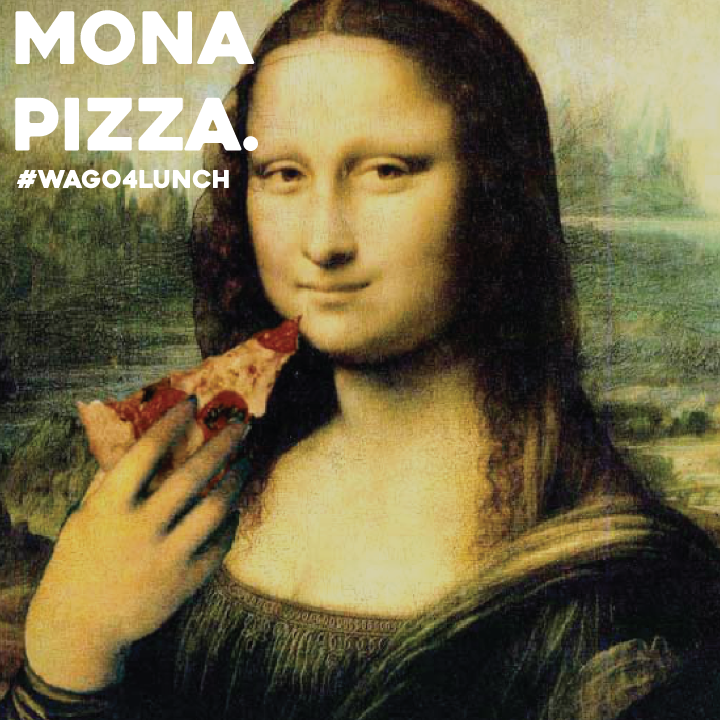 The creative concept is titled Starving Artists and consists of both digital and printed posters that play on the area’s well-known artistic presence, combining famous art with a clever food references. This campaign is all about having fun, raising awareness with curiosity and creating enthusiasm in the community. Check out some of the artwork below and don't forget to follow the WAGO page on Facebook and Instagram.